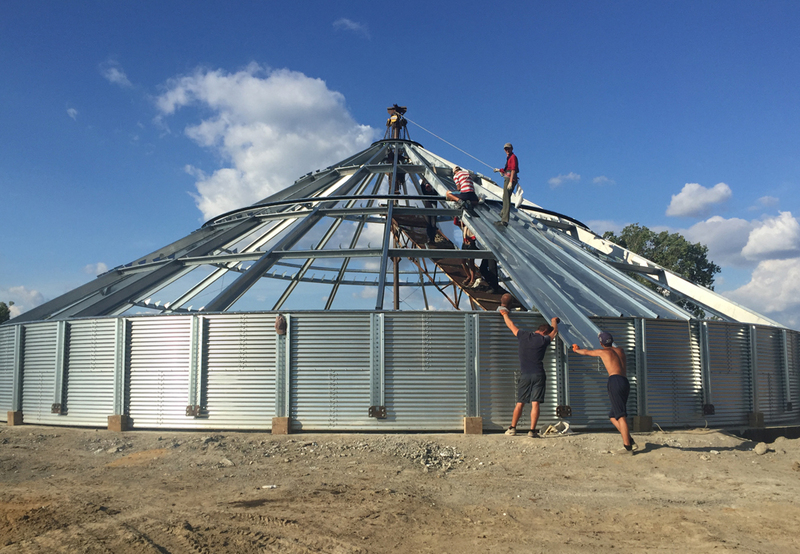 Rentcom LLC is a relatively young, but successful, market player in the agricultural sector. 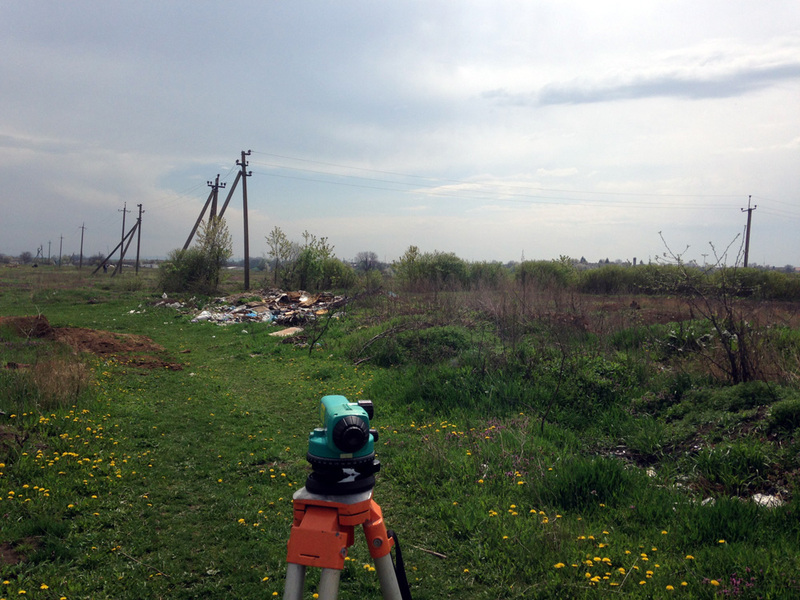 The head office is placed in Lviv. 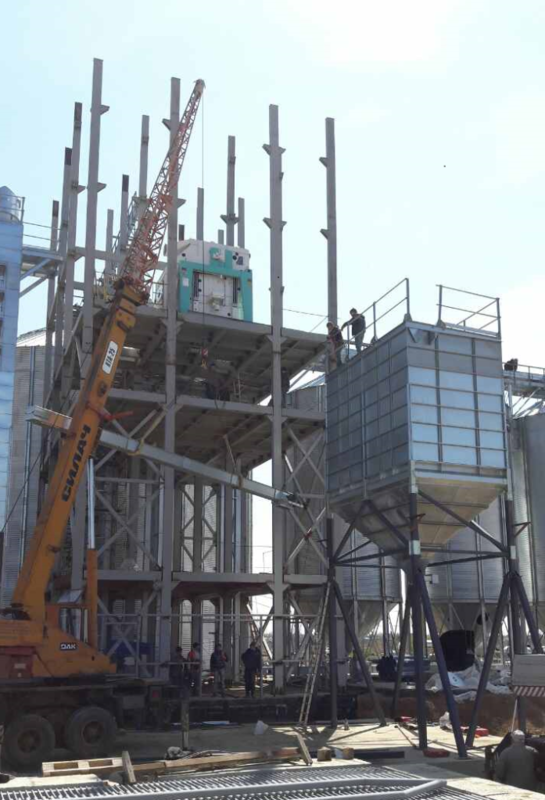 The company is processing soybeans into soybean oil and soybean meal for animal feed purposes.The total capacity is 90,000 tons and the project includes development and project work, equipment supply and installation. 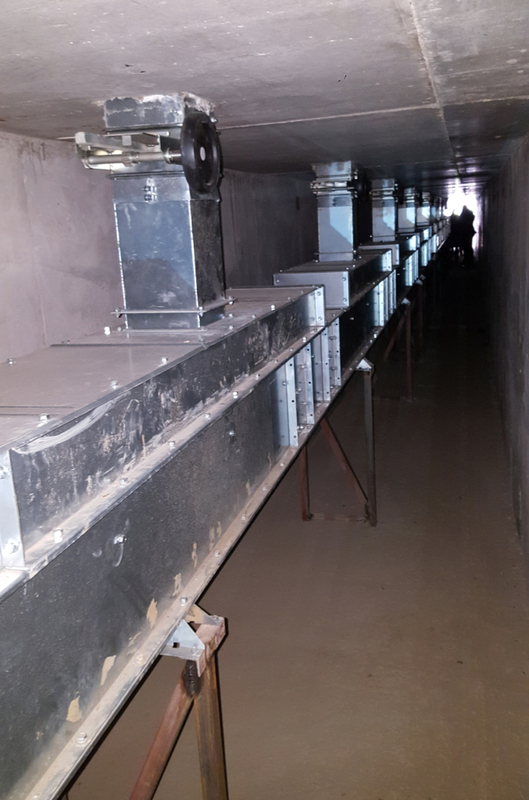 Two receiving pits for trucks -100 ton each, equipped with truck tippers, lift force 80 t.
New series dryer TKDC 6 with dust control, equipped with Intelligent dryer control system IDC, the heat source is natural gas. 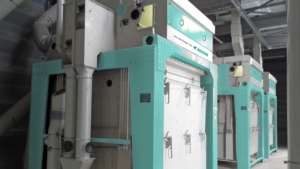 Industrial cleaning machine LAAB TAS 15 with horizontal vibrating sieves and air aspiration and central dedusting system. 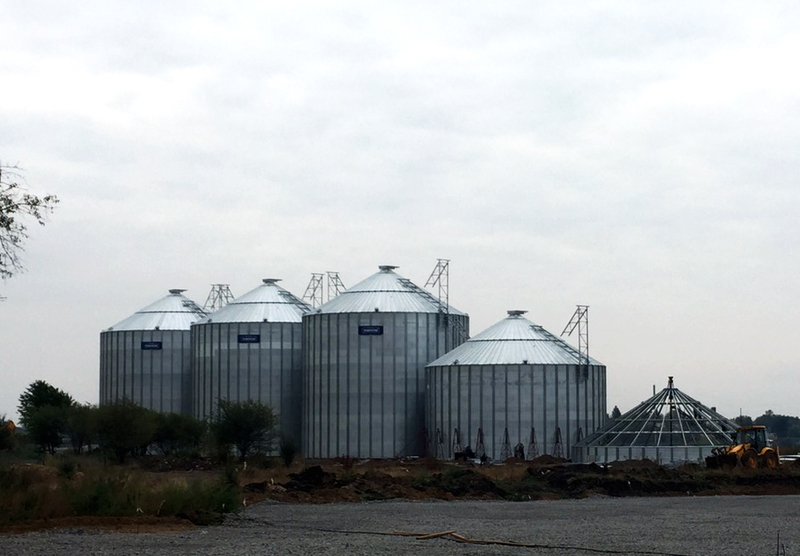 Buffer silos for wet grain, 3 pcs. 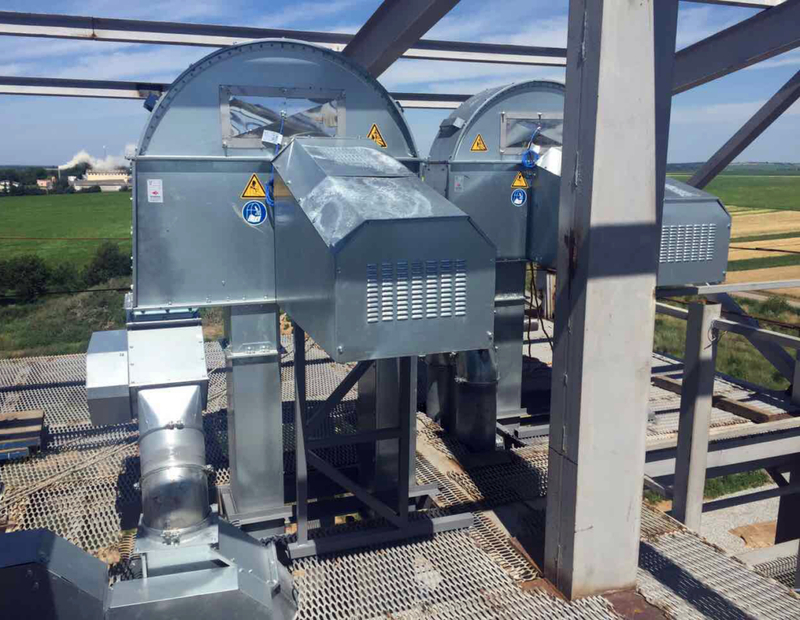 200 ton each with own aeration system and temperature monitoring system. 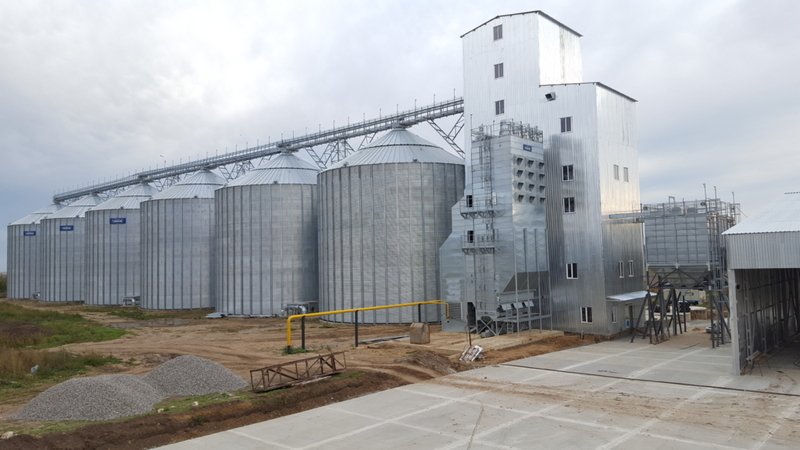 Storage capacity 30 000 ton incl. 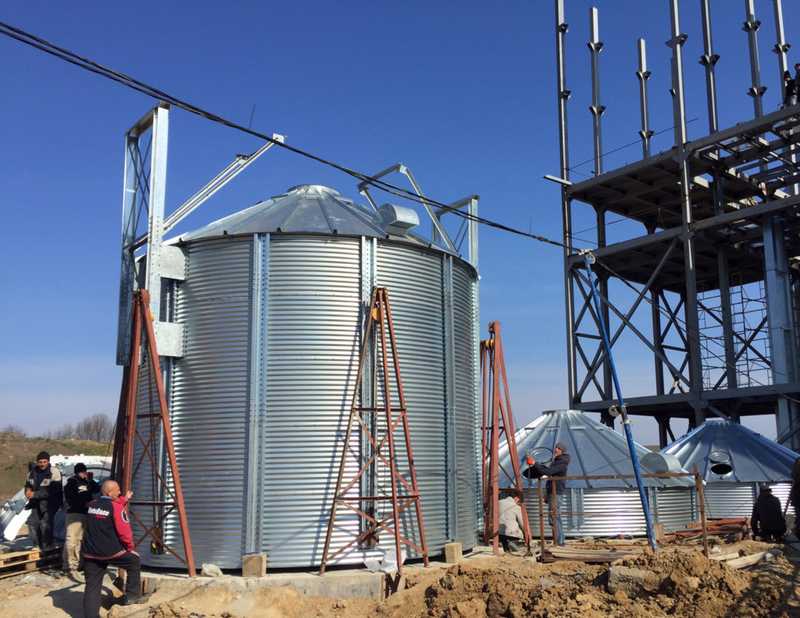 6 pcs silos for dry grain equipped with temperature monitoring system and connection to PC. 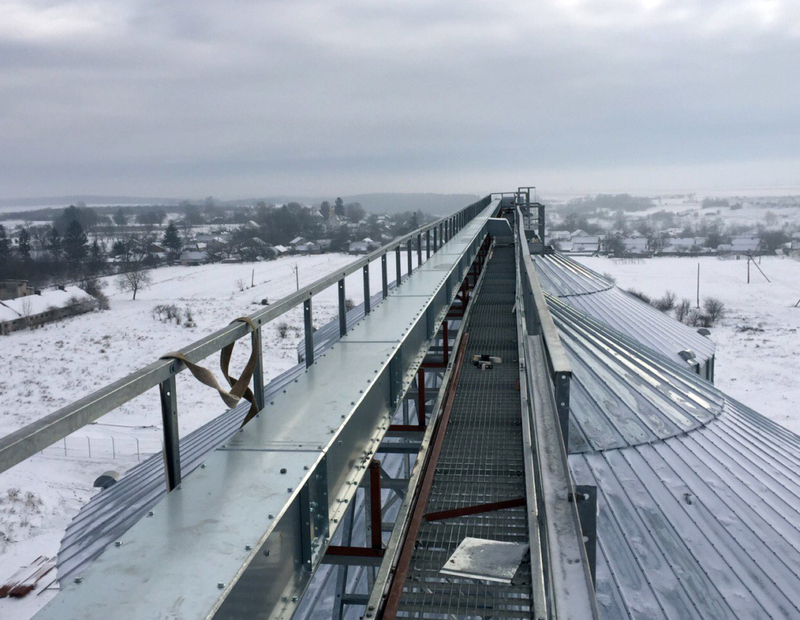 Skandia H-line, I-line conveying equipment 100 t/h. 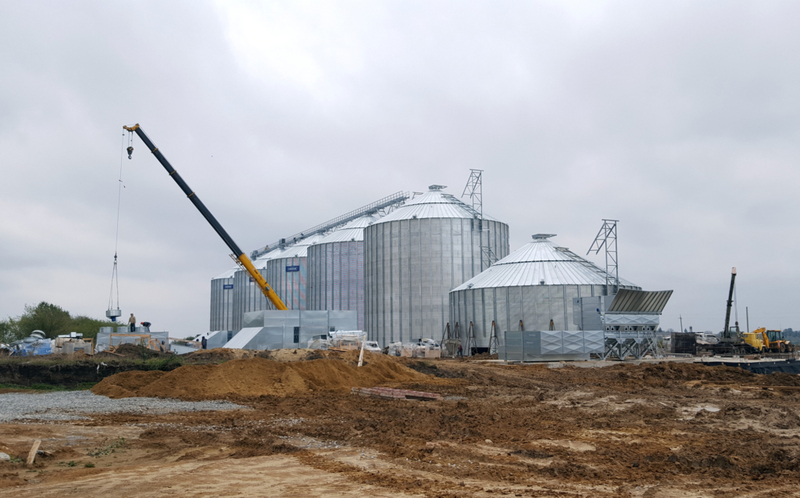 Bulk loading bins UT for truck loading with grain, 2nd grade grain, coarse particles and dust. 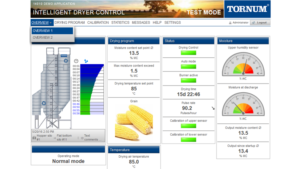 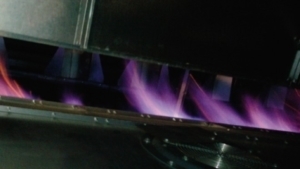 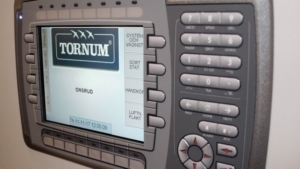 Fully computerized control system for plant based on PLC with friendly-operate interface via PC, service information option for correct operation. 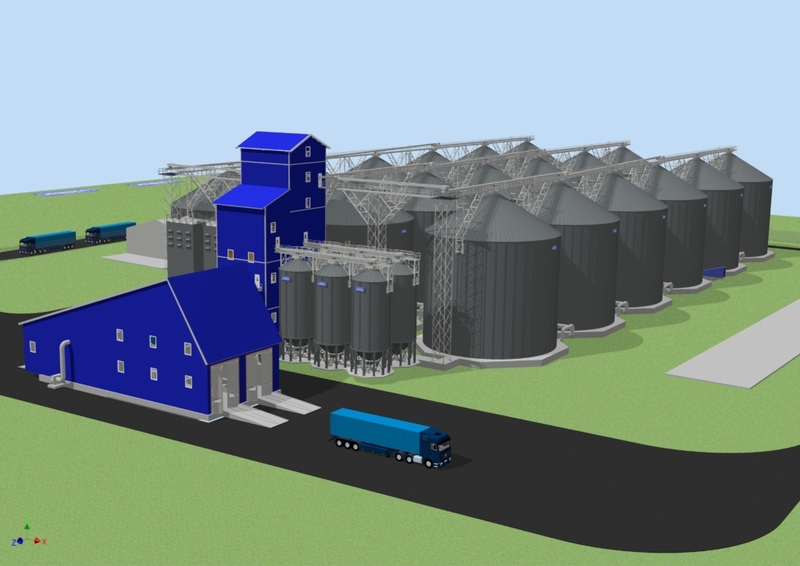 3D visualization of the entire project. 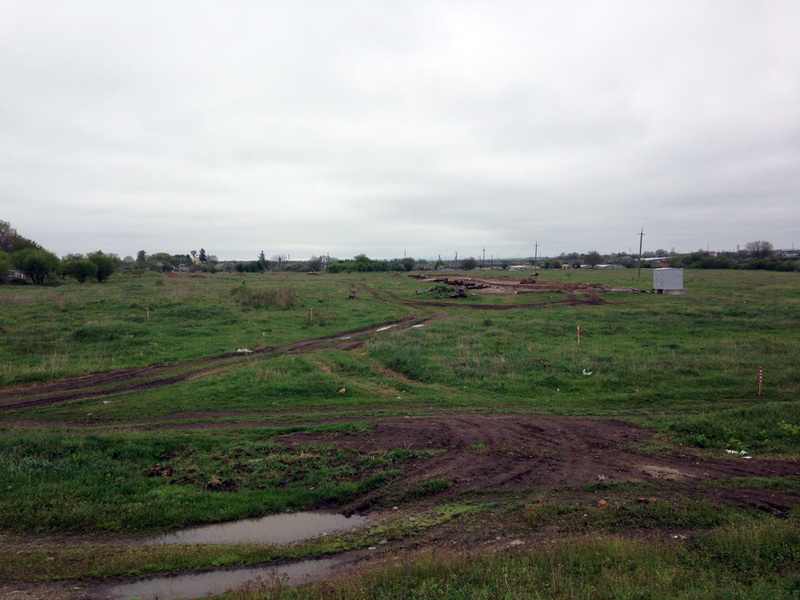 2016-04-29 The area where the grain storage plant willl be built. 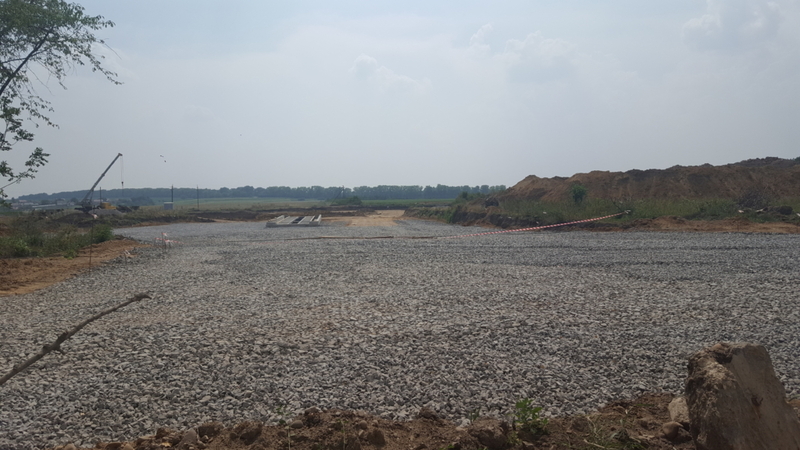 2016-04-29 Start working with trench for flat bottom silos concrete base. 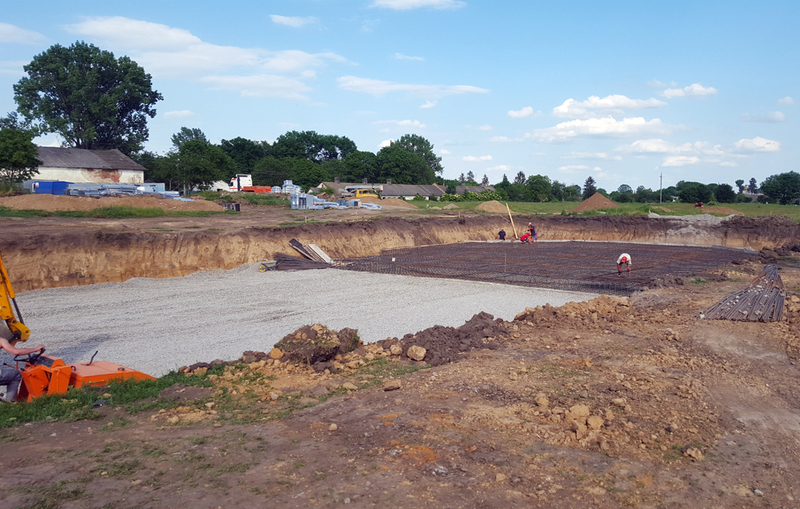 2016-05-30 Forming foundation framework under flat bottom silos R1 and R2. 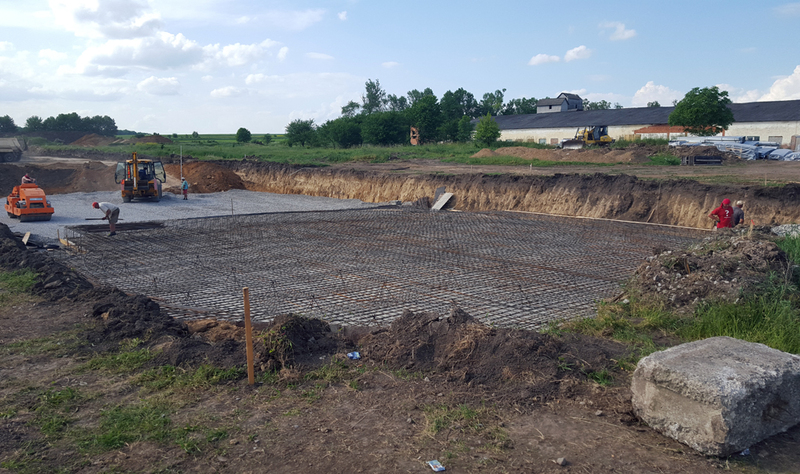 2016-05-30 Framework for foundation base of silo R2. 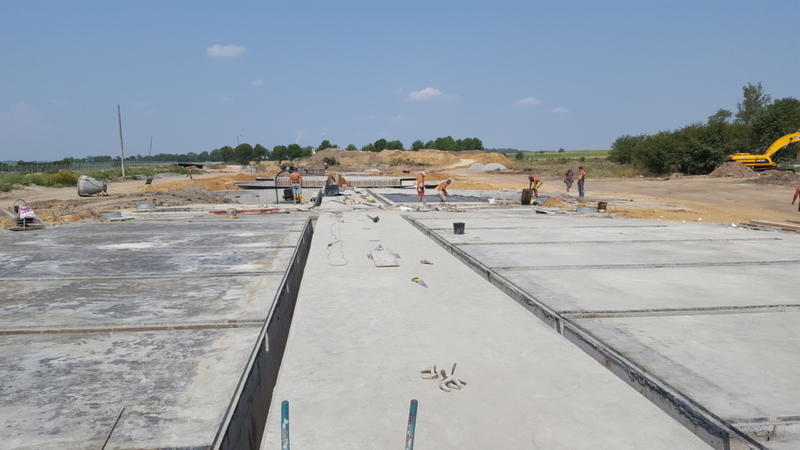 2016-07-28 Flat bottom silo line with all six concrete bases. 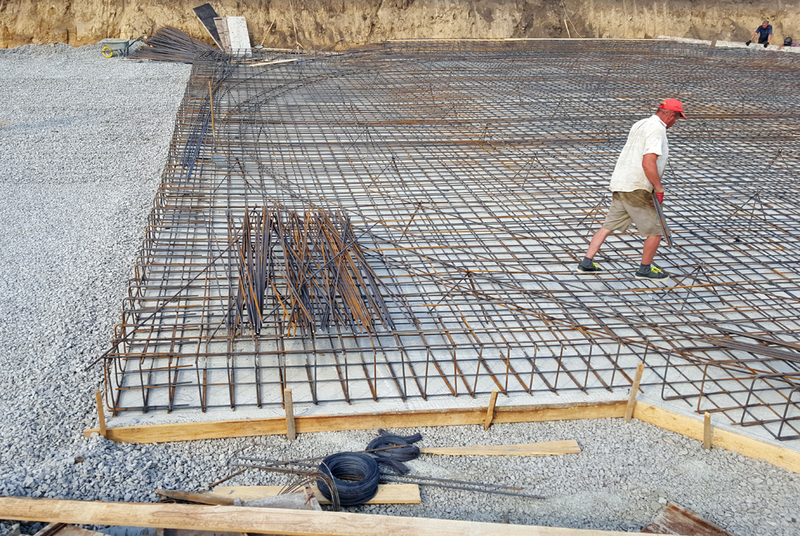 2016-07-28 Reinforcement slab under aeration channels. 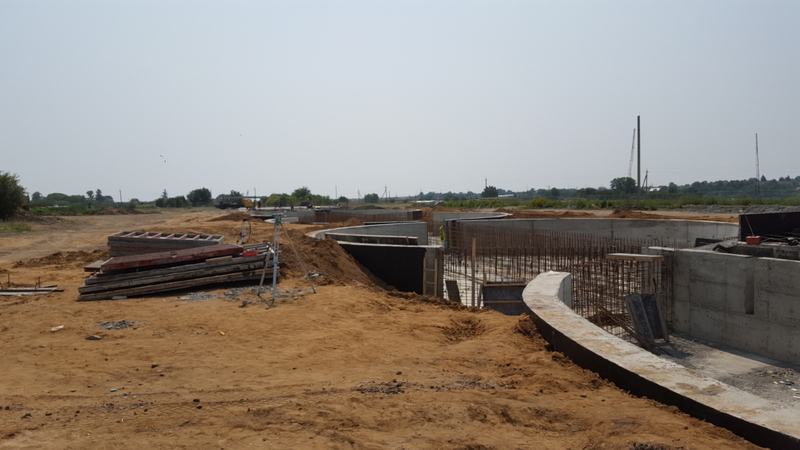 2016-07-28 Construction of the main entrance to the grain storage area. 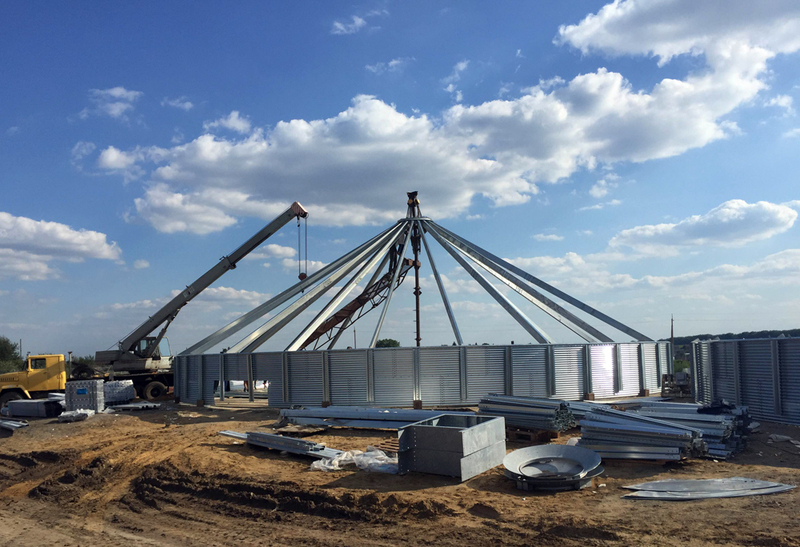 2016-08-14 The first ring of the silo sheets and the roof structure are assembled. 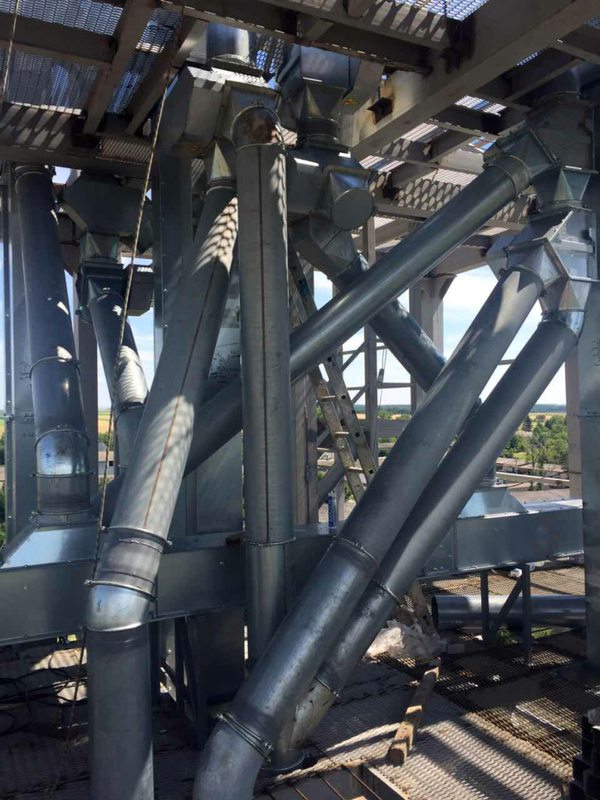 2016-09-20 Flat bottom silos R2 and R3 under assembly. 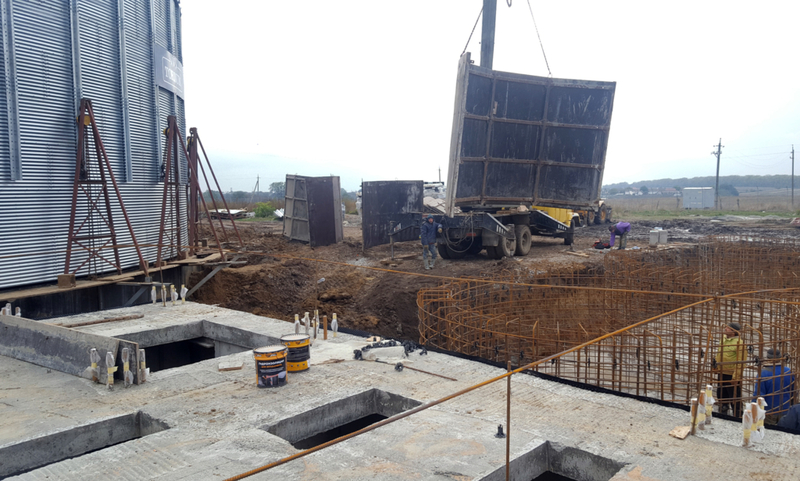 2016-10-27 Forming concrete base for hopper silos. 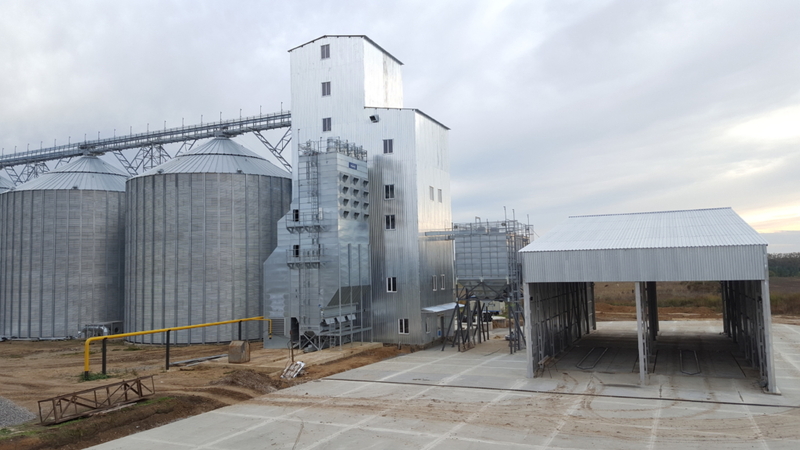 2016-10-27 The conveying equipment under silos. 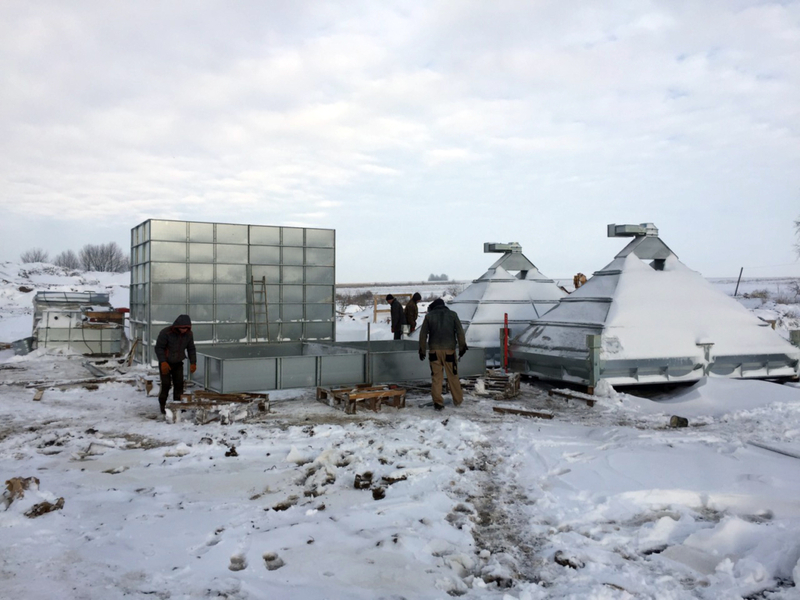 2016-11-15 Assembly of bulk loading bins UT. 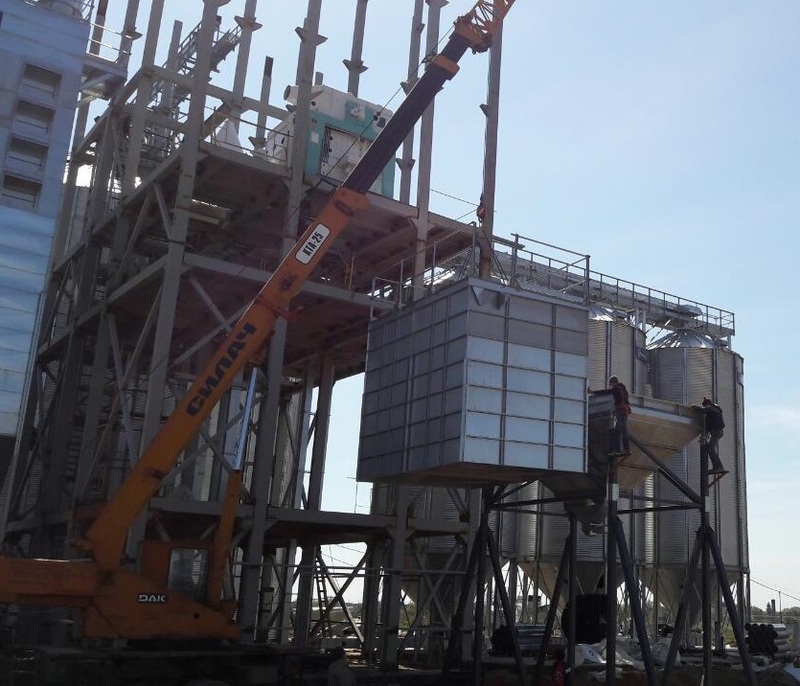 2016-11-15 Final assembly of new series dryer TKDC 6 with dust control. 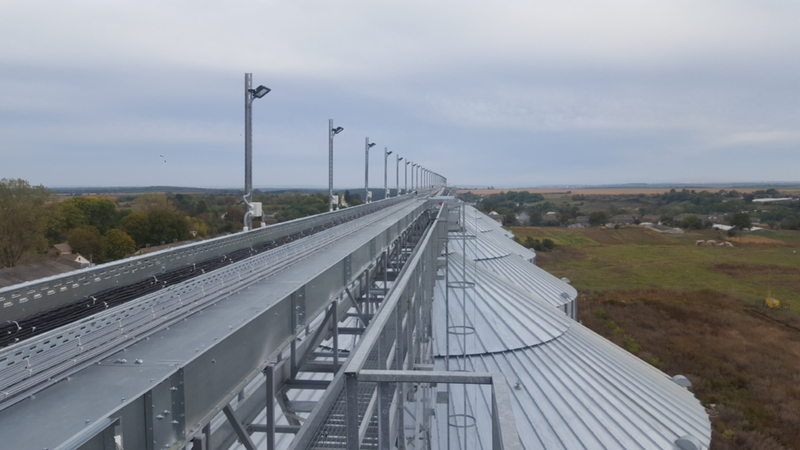 2016-11-15 The conveying equipment above flat bottom silos. 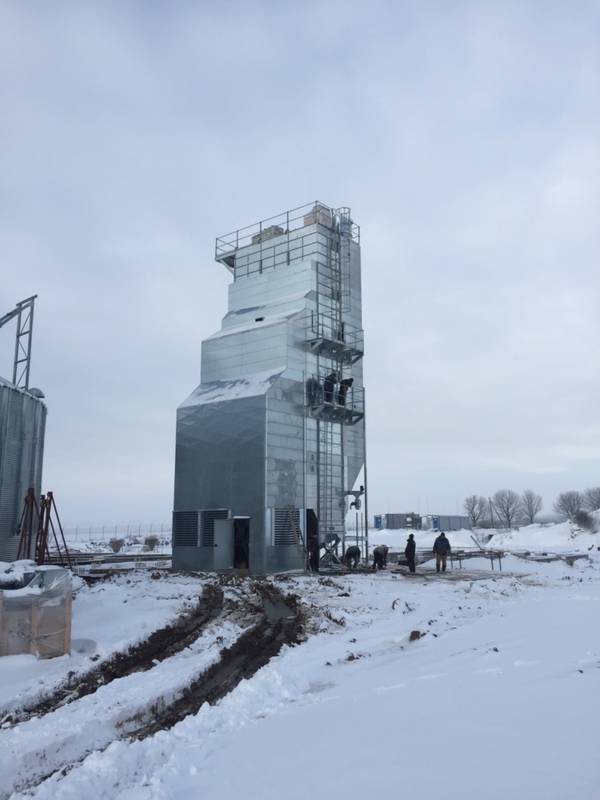 2017-01-24 Final assembly of flat bottom silos R1-R6. 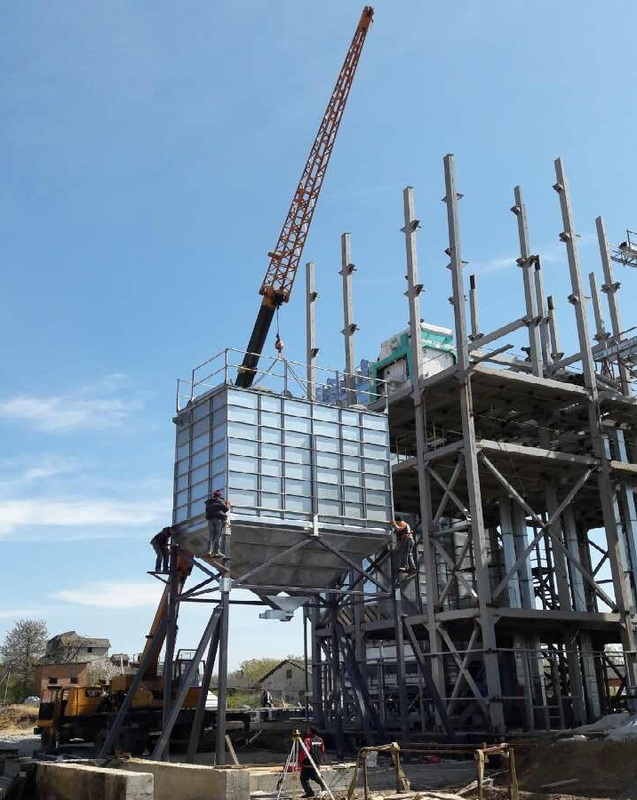 2017-04-06 Assembly of three hopper silos with 45° hopper. 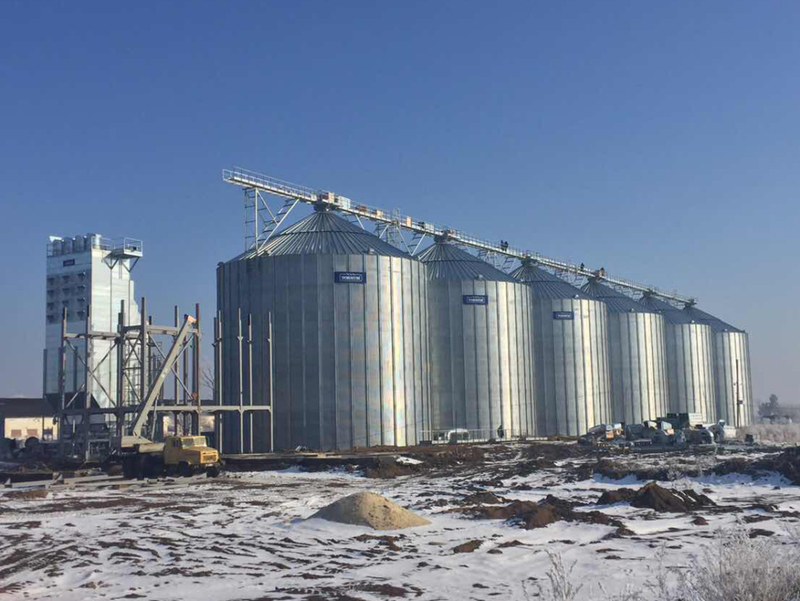 2017-04-25 Installation of bulk loading bins. 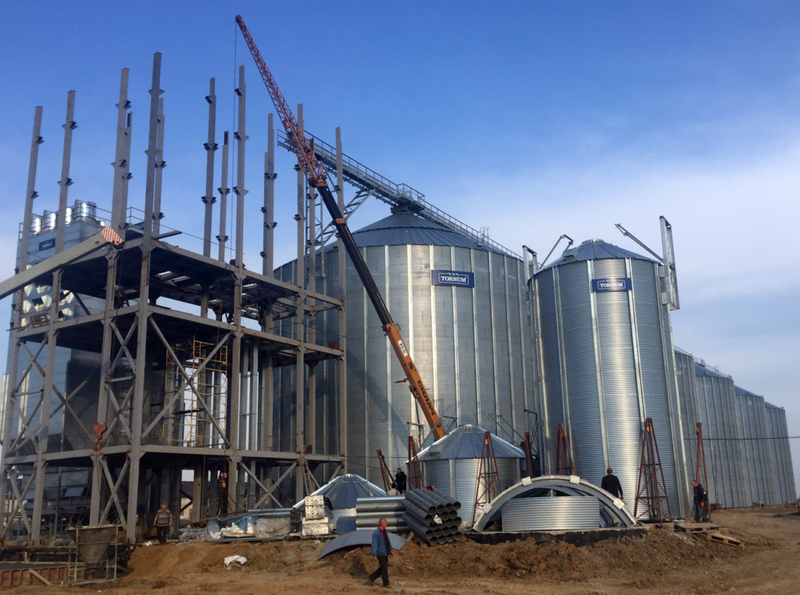 2017-07-11 Assembly of grain pipes system. 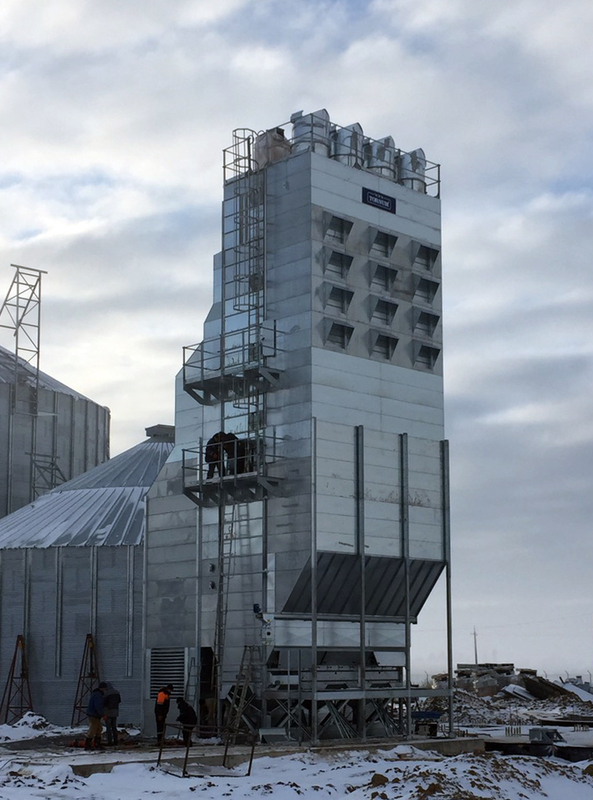 2017-07-11 Final assembly of bucket elevators installed in working tower. 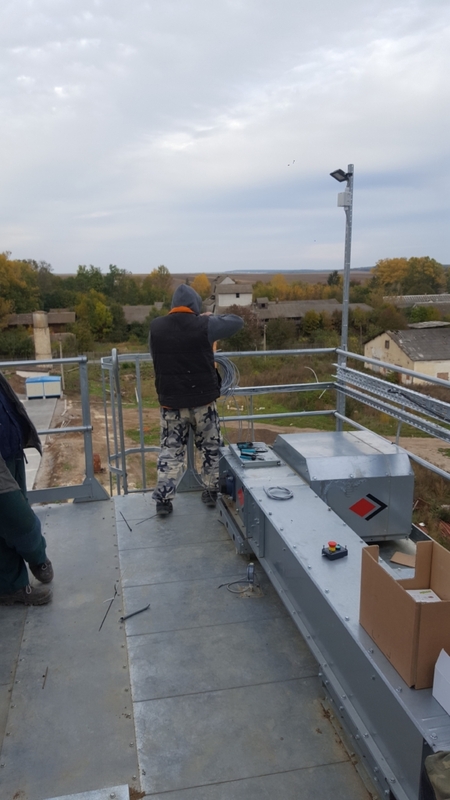 2017-10-08 Completing of electrical work with the connection of signal and power cables.